Russian President Vladimir Putin's former chief of staff, Sergei Ivanov, says a report that the Kremlin plans to create a monolithic new security agency is false. Russia says it has suspended the bombing of Aleppo ahead of an eight-hour "humanitarian pause" on Thursday to allow civilians and rebels to leave. The body that awards the Nobel Prize for Literature says it has stopped trying to contact US singer Bob Dylan about being this year's honouree. The group has been laying ideological groundwork to maintain its appeal as it suffers on the battlefield. Deep in the woods on the outskirts of Moscow, a sudden burst of gunfire sends a flock of birds screeching into the sky. 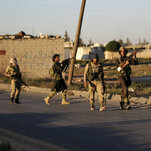 A dozen people dressed in military fatigues scale a crumbling, abandoned high-rise with Kalashnikovs strapped to their backs. Donald Trump's Apocalypse Is a Self-Fulfilling ProphecyThe Nation. Retired Lt. General Michael Flynn discussed on Breitbart News Daily why some longtime Democrats, including Flynn, support Donald Trump. Electing Russia's candidate to the White House is a danger to the very integrity of American democracy. The Hilary Clinton campaign released a video listing Donald Trump's ties to Russia. Fedor Emelieanenko made the list. Senate Intel Chair Caught Between Russian Hacking and Donald Trump « | Foreign Policy | the Global Magazine of News and Ideas. In 1981, a young and ambitious Donald Trump sat down with federal agents and discussed his calculation in entering the mob-infested world of Atlantic City casinos. He acknowledged it might tarnish the reputation his family built through traditional real-estate development in New York. He was aware a business partner in the New Jersey beach town knew people who might be unsavory. A Federal Bureau of Investigation agent advised Mr. Trump there were easier ways he could invest, said an FBI memo recounting the discussion. Mr. Trump went ahead and built an Atlantic City casino, ultimately owning four. There, as well as in his New York real-estate work, Mr. Trump, now the Republican nominee for president, sometimes dealt with people who had ties to organized crime, a Wall Street Journal examination of his career shows. They included a man described by law enforcement as an agent of the Philadelphia mob; a gambler convicted of tax fraud and barred from New York racetracks; a union leader found guilty of racketeering; and a real-estate developer convicted in a stock scheme that involved several Mafiosi. With one exception, these associations were long ago. Still, in the home stretch of Mr. Trump’s run for the presidency, he frequently cites his lucrative business career as a qualification for the nation’s highest office, and his past associations color that record. Mr. Trump acknowledged in an interview he worked at times with people who might have had such ties, but said he either had only cursory relationships with them or wasn’t aware of the ties at the time. Like many in the construction, real estate and gambling worlds three or four decades ago, especially those who built in Atlantic City and New York, Mr. Trump sometimes had to choose whether or not to deal with figures who had sketchy backgrounds. People in the industry say those moments were unavoidable in the days when unions representing construction workers and supply deliverers were controlled by organized crime, which also had a presence in the casino world. That didn’t mean the developers sought out those relationships—much less that they themselves were gangsters. Mr. Trump “wasn’t going to build Trump Tower without having those connections. Every builder in New York had to do that at that time,” said Michael Cody, the son of a mob-linked union leader Mr. Trump and other builders dealt with. Some developers avoided working directly with unsavory figures by operating through a general contractor. Mr. Trump said he preferred to negotiate business matters personally, because he made more money that way. Referring to a concrete contracting firm that law enforcement said was affiliated with one of New York’s Mafia families, Mr. Trump said: “That was a major contractor. You hear stories that they may have been [mob-controlled]. Many of the associations the Journal explored have been previously reported piecemeal. 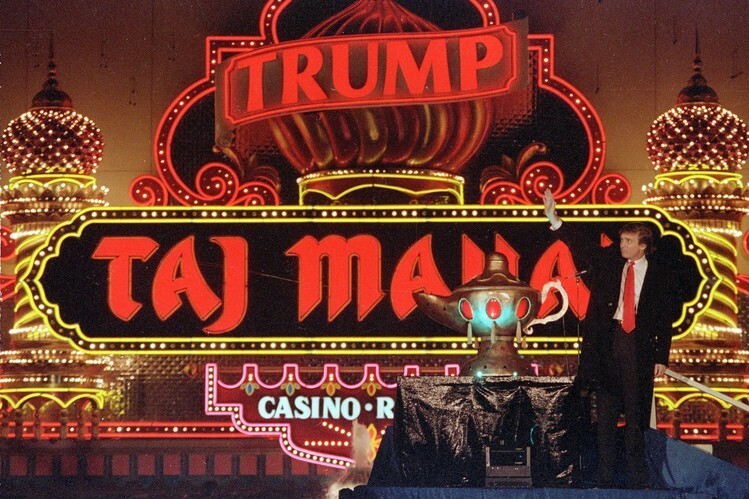 In the early 1990s, Mr. Trump’s license to operate casinos in Atlantic City was re-examined after a book by reporter Wayne Barrett alleged a number of organized-crime connections. New Jersey officials determined Mr. Trump remained eligible. In its own examination, the Journal reviewed thousands of pages of legal and corporate documents and interviewed dozens of Mr. Trump’s business associates. The gambling business now is largely corporate, but at the time when Atlantic City was newly opened to casinos and a family friend suggested Mr. Trump build there, many banks shunned the industry. “Any project in the gaming arena in general is a difficult project to finance, because of the natural prohibition that a lot of institutions have,” Mr. Trump told New Jersey casino regulators in 1982. Some of the people he dealt with in Atlantic City illustrate why the FBI agent counseled caution. Kenneth Shapiro owned part of a site where Mr. Trump wanted to build his first casino. Mr. Shapiro was a Philadelphia scrap-metal dealer and property investor, described by law enforcement as an “agent” of Philadelphia mob boss Nicodemo “Little Nicky” Scarfo. A co-owner of the site was Daniel Sullivan, a gregarious six-foot-five Teamster and labor consultant with a criminal record that included a weapons violation. “He knew a lot of organized-crime figures and they knew him,” said Walter Stowe, a former FBI agent. Mr. Sullivan also was a tipster to the FBI. Gangsters “knew he was an informant. I don’t know why nobody ever tried to kill him,” Mr. Stowe said. Mr. Trump negotiated with Messrs. Shapiro and Sullivan, now both dead, to lease their property. “They are not bad people from what I see,” Mr. Trump said at a regulatory hearing in 1982. His project nonetheless faced obstacles because of their involvement. Mr. Sullivan, Mr. Trump and another partner had a deal to acquire an interest in a drywall company. New Jersey casino regulators told Mr. Trump any dealings with Mr. Sullivan beyond the property lease could delay casino licensing. He backed out of the drywall deal. When the hotel-casino was near completion, the regulators said Messrs. Shapiro and Sullivan might need casino licenses too, as site owners, but could have trouble getting them. Eventually, Mr. Trump bought the two out. Mr. Trump also used Mr. Sullivan as an adviser on New York labor issues. These included a 1980 dispute over the use of undocumented Polish workers to demolish the Bonwit Teller store on Fifth Avenue to make way for Trump Tower, Mr. Sullivan said in lawsuit testimony. Mr. Trump, in testimony of his own, said he didn’t know there were undocumented workers at the site. Mr. Trump told the Journal he knew Mr. Sullivan and considered him “OK” because he traveled with FBI agents. He said he didn’t know of any underworld connection Mr. Shapiro might have had. Mr. Shapiro was a conduit the Scarfo crime family used to buy influence with Atlantic City’s then-mayor, Michael J. Matthews, according to a 1984 indictment of the mayor. The late Mr. Matthews pleaded guilty to extortion. Mr. Scarfo, now in prison, didn’t agree to an interview. Mr. Trump, as a casino owner, couldn’t legally contribute to the local politicians who controlled such matters as zoning and signs. Mr. Shapiro told a federal grand jury he secretly gave thousands of dollars to the mayor on Mr. Trump’s behalf, said people familiar with his account. “Donald was always trying to maneuver politically to get things done,” said Mr. Shapiro’s brother Barry Shapiro. Kenneth Shapiro said he never was reimbursed for the money given to the mayor, according to his brother and two other people. “Donald just reneged; that’s his automatic thing,” Barry Shapiro said. A major profit source at one Trump casino was a racehorse trader named Robert LiButti. His gambling losses earned Trump Plaza $11 million between 1986 and 1989, state documents show. Mr. LiButti had been convicted of tax fraud related to horse sales in 1977 and was barred from attending races in New York for trying to conceal his horse ownership. A Trump employee told New Jersey regulators that Mr. LiButti repeatedly invoked the name of gangster John Gotti and called him “my boss,” according to a 1991 state investigative report. Jack O’Donnell, who ran Trump Plaza in the late 1980s, said, “It isn’t like [Mr. Trump] saw LiButti once or twice—he spent time with him, saw him multiple times,” and even attended a birthday party for Mr. LiButti’s daughter. The daughter declined to be interviewed but confirmed to Yahoo YHOO 0.86 % News that Mr. Trump attended a birthday party for her. It was illegal in New Jersey for casinos to keep high-rollers happy by giving them cash gifts. Regulators, in a ruling that didn’t cite Mr. Trump personally, fined Trump Plaza for funneling Mr. LiButti $1.65 million via gifts of expensive cars quickly converted into cash. Mr. Trump agreed in 1988 to buy a horse from Mr. LiButti for $250,000, Mr. O’Donnell said in a book he wrote after quitting Trump Plaza. The horse, named D.J. Trump, had cost the LiButti family just $90,000 a year earlier, according to Blood Horse magazine. Mr. O’Donnell said Mr. Trump aborted the deal after the horse had a health problem. Mr. Trump didn’t respond to questions about the horse and the birthday party. Mr. LiButti, who died in 2014, denied to casino regulators that he had links to organized crime. Mr. Trump was a character witness for Mr. Cohn in proceedings that led to the lawyer’s disbarment shortly before his death in 1986. 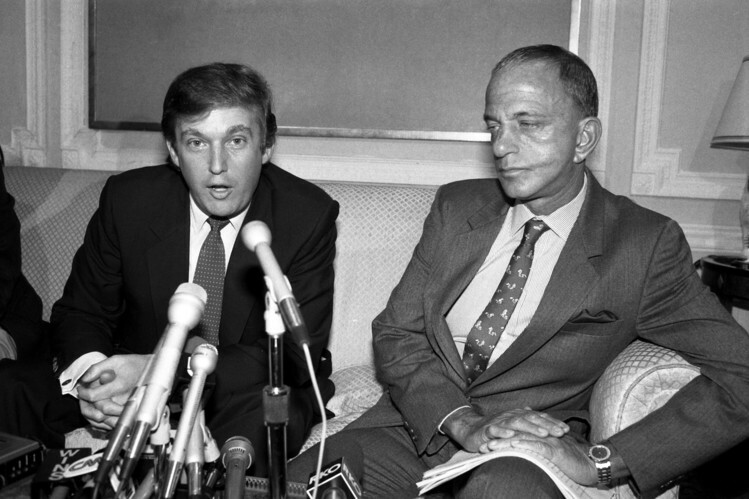 Mr. Cohn had many clients who, like Mr. Trump, weren’t mob-affiliated, such as the late Yankees owner George Steinbrenner. “Roy was a great lawyer if he wanted to be,” Mr. Trump said in an interview. Messrs. Cohn and Trump had a common associate in Teamsters official John A. Cody. Mr. Cody had a lengthy arrest record and was close to mob bosses Carlo Gambino and Paul Castellano, according to a Justice Department memo from 1982, when Mr. Cody was convicted of racketeering. Mr. Cody led a powerful union local that represented drivers who delivered cement to New York construction sites. When he called a strike, Mr. Trump still received cement for Trump Tower, said Mr. Cody’s son, Michael. “My father wasn’t that generous, unless there was a reason,” Michael Cody said. Mr. Cody was “truly a bad dude,” Mr. Trump said. “I employed a lot Teamsters, and this guy would absolutely make life miserable and…I would fight through it.” Many developers in New York had to deal with Mr. Cody to get cement, and Mr. Trump said they all hated him. John Cody is dead, as are Messrs. Gambino and Castellano. In the 2000s, Mr. Trump dealt with another figure who had gangland ties. It happened when a small real-estate firm called Bayrock Group rented space in Trump Tower, two floors below Mr. Trump’s offices, and negotiated deals with Mr. Trump to put his name on buildings and give him equity in them. One person Mr. Trump worked with at Bayrock was Felix Sater. In the early 1990s, well before Mr. Trump knew him, the Russian-born Mr. Sater was a stockbroker but lost his license and went to prison after he jabbed a margarita glass into a man’s face in a bar fight. Mr. Sater pleaded guilty to racketeering, cooperated with prosecutors and had his conviction sealed. It was then, around 2000, that he joined Bayrock and sometimes dealt with Mr. Trump on real estate. The New York Times NYT -1.73 % described Mr. Sater’s criminal history in an article in 2007. Mr. Trump, giving a court deposition days later, said he was unaware of it until then. Two federal press releases in 2000 had referred to Mr. Sater’s past, one from the National Association of Securities Dealers and one from the Justice Department. The Justice Department one announced the indictment of 19 people in the pump-and-dump stock scheme Mr. Sater was part of, including several it identified as members of La Cosa Nostra. The Justice Department release said a Genovese crime-family soldier, Ernest “Butch” Montevecchi, had protected Mr. Sater from an extortion effort. Mr. Montevecchi declined to comment. In a 2009 court proceeding, Mr. Sater described the Bayrock real-estate business, which is no longer active, as one he “built with my own two hands” and where he was probably the No. 2 person. In an interview, Mr. Sater said he had atoned for his crimes by cooperating with the government in the pump-and-dump case and on national-security matters. He declined to answer questions about Mr. Trump. 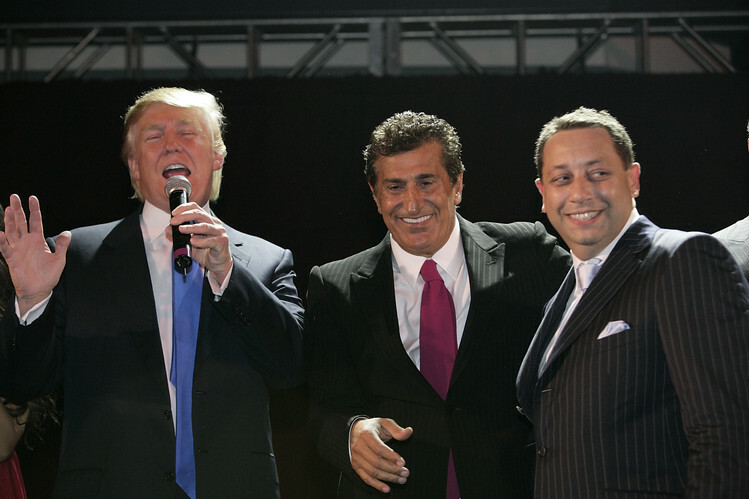 Mr. Trump said Mr. Sater appeared meek and mild, and Mr. Trump didn’t see him as being connected to the mob. Dealing with gangsters is “not my thing,” he said. 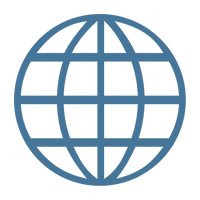 —Lisa Schwartz and Jim Oberman contributed to this article. It might turn out to be bigger than the Trump tape. A Moscow-watcher explains what's really going on. Russia + WikiLeaks = ?